Over the last three days, MPs have been sworn in to the House of Commons, making their oaths on the Bible, Koran, Gita, Book of Mormon and other religious texts, or making a solemn affirmation of allegiance without any religious connotation at all. It’s appropriate to give MPs the option to tailor the ceremony according to their beliefs and backgrounds. Faith communities make an immense contribution to British life, and that should be reflected in our politics. However, in a secular democracy, faith should never be a get out of jail free card. If the tenets of your faith are at odds with the ethos or policies of your party, then voters and journalists alike are entitled to question how you align the two. Tim Farron, who resigned the leadership of the Liberal Democrats last night, seems to have concluded that his faith and his politics cannot align. In his statement, he described feeling ‘torn between living as a faithful Christian and serving as a political leader,’ referring to repeated questions about his attitudes to homosexuality and abortion. Farron’s decision shows his integrity. Rather than attempting to avoid the question of how his Christianity impacts his liberalism, he has faced it head on and, ultimately, decided that his faith comes first. Would that other religious leaders — including the very devout Theresa May — were equally willing to grapple with the complex intersections of ancient faiths and modern politics. However, it was a mistake for Farron to portray himself as some kind of contemporary Christian martyr. “To be a political leader – especially of a progressive, liberal party in 2017 – and to live as a committed Christian, to hold faithfully to the Bible’s teaching, has felt impossible for me. I’m a liberal to my finger tips, and that liberalism means that I am passionate about defending the rights and liberties of people who believe different things to me. There are Christians in politics who take the view that they should impose the tenets of faith on society, but I have not taken that approach because I disagree with it – it’s not liberal and it is counterproductive when it comes to advancing the gospel. The situation is simply not as clear cut as Farron lets on. 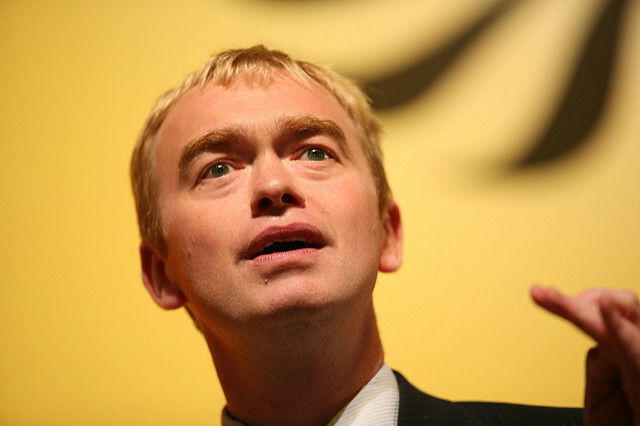 Much of the questioning of his beliefs came from, or was inspired by, LGBTQ people, who had every reason to harbour suspicions about Farron’s views. Although there is no reason to believe that he would legislatively oppose gay rights, LGBTQ people will inevitably have doubts about being represented by someone who privately believes their intimate relationships are sinful. The not-so-subtle suggestion that these doubts are the product of religious intolerance is misguided and hurtful. A healthy democracy is built on doubt, on constant questioning, on clashes of values and beliefs. People of faith have always played important and successful roles in British politics. If Farron could not, that likely says more about his political skill than about his religion. Niamh Ní Mhaoileoin is editor of Left Foot Forward. Follow her on Twitter. I think it is sad that what has been missed in most discussions of Tim Farron’s particular brand of Christianity is that there are many religious groups and churches that fully embrace LGBT equality. There’s Changing Attitude, the group of inclusive churches within Anglicanism; the Progressive Christian Network; several other mainstream Christian denominations; the Unitarians; the Quakers; liberal Judaism; Reform Judaism; the vast majority of Pagans, and so on. Just because Tim Farron’s interpretation of the Bible leaves no wiggle room, doesn’t mean that all Christians need to see it as inerrant. Most don’t. Strange, no mention of Labour’s historic alliance with the Muslim “community” (courtesy of the clan voting system). As we know, the great majority of Muslims seem to have very socially-conservative views on issues like homosexuality. Perhaps the author of this article could ask some of your Labour Muslim MPs their views on gay marriage?